To purchase tickets, contact by phone, email or in person. We are excited to announce our 3rd Annual Gala. 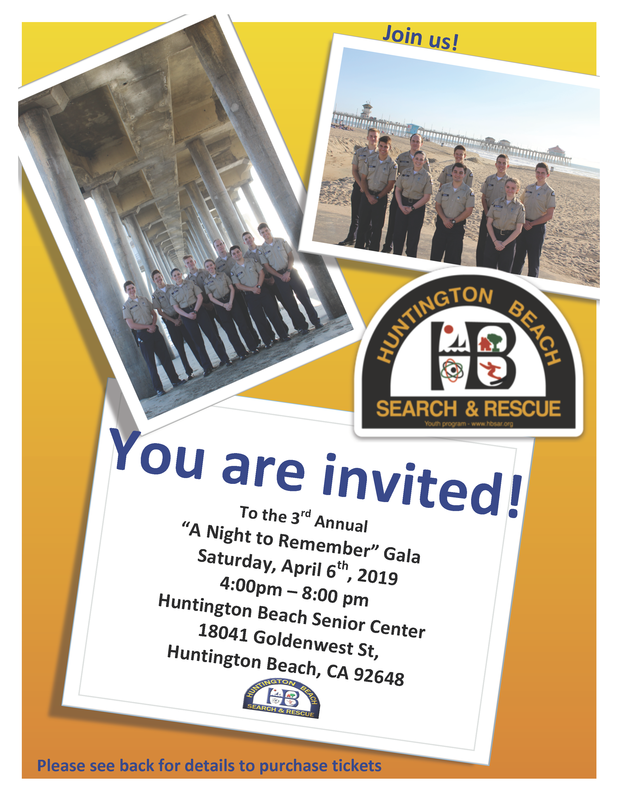 The Huntington Beach Explorer Post 563 is a non-profit youth program designed to introduce young adults into the field of public safety; Police, Fire and Marine Safety. Not every Explorer can afford the $400 for their personal equipment. The cost of the organization’s equipment, repairs and replacement is an ongoing challenge. Please help us reach out to our future leaders and make the program accessible to youths from all financial walks of life. Contact us if you would like to donate a prize toward our auction. Again, we thank you for your continuous support!